The Regulator was the first stand-alone model in the history of Chronoswiss and in subsequent years, it quickly became the brand’s central motif and standard bearer. 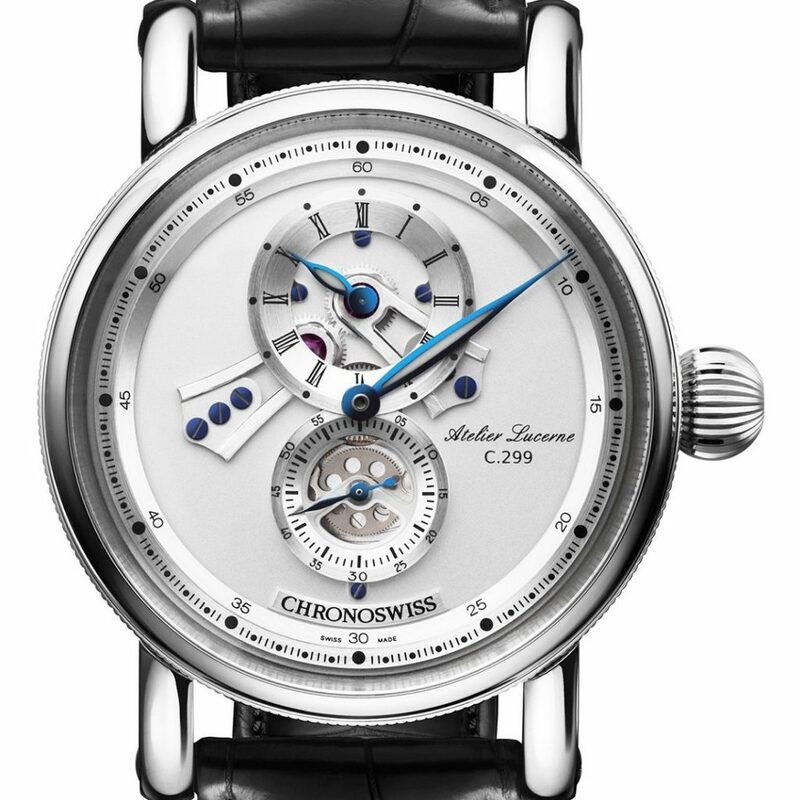 It is therefore only logical that the design team pays special attention to the Regulator on its 30th birthday, which is also the 35th anniversary of Chronoswiss itself. Following the 3D dials and skeletonizations of recent years, the manufacturer is now introducing the Flying Regulator Open Gear, a model which provides unexpected insights. To produce a Regulator, a modification of the movement is necessary. Normally, it is hidden from prying eyes underneath the dial. But in this new version it has not only been made visible but also showcased as a central design element, hence the name “Open Gear”. Its dial is simultaneously its module board, onto which the train wheel bridges of the skeletonized gears are mounted. These move on four ruby bearings, generating the least possible friction. The train wheel bridges have also been skeletonized and boast carefully angled and polished edges. Six screws keep them reliably in their intended place on the dial. This is how functional design is done. 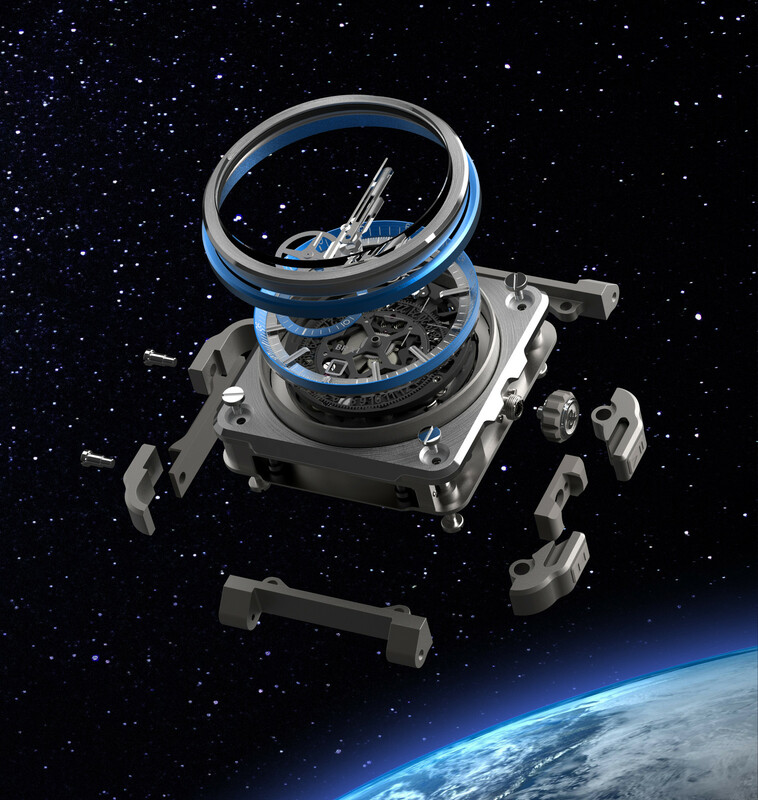 At 6 o’clock on the dial, the Flying Regulator Open Gear reveals an exciting insight. The dial and the bridge have been skeletonized at the height of the small second so that you can see the second wheel in action. As the associated seconds scale – just like the display at 12 o’clock – floats above the dial on a funnel-like display, the gaze is virtually drawn towards the inner workings and to the seconds wheel, designed to look like a rotary dial. Super-LumiNova inlays on the hands and indexes ensure best legibility, even in the dark. Chronoswiss offers the timepiece in four different color combinations: in purist stainless steel with dials in galvanic blue, black or silver, or timeless elegant in a red gold case with a galvanic silver dial. 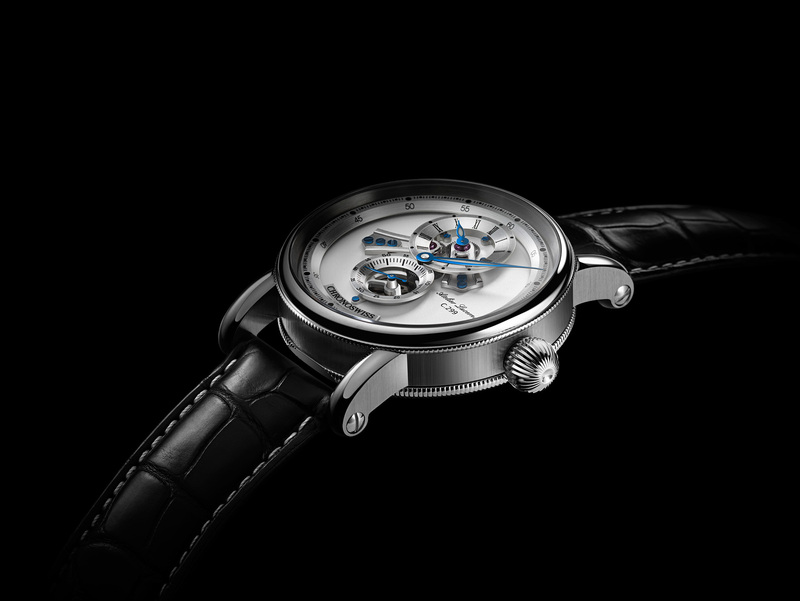 The Flying Regulator Open Gear is a pure Chronoswiss development – from the design to the dial module. 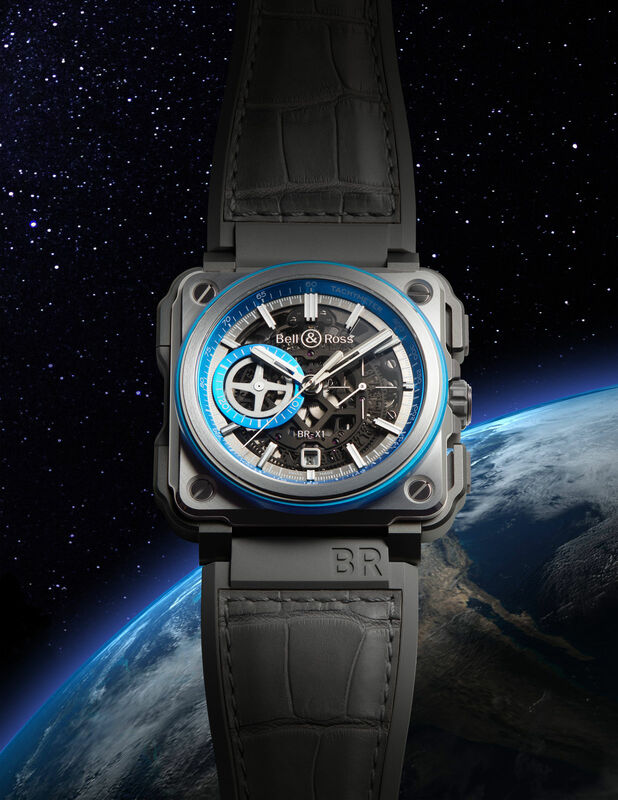 This watch will only be available as a limited edition. 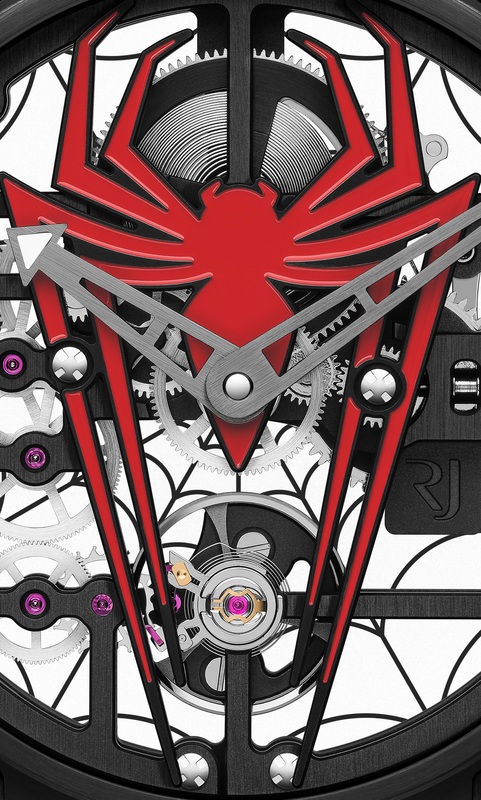 RJ-Romain Jerome has once again joined forces with Marvel, one of the biggest entertainment companies in the world. 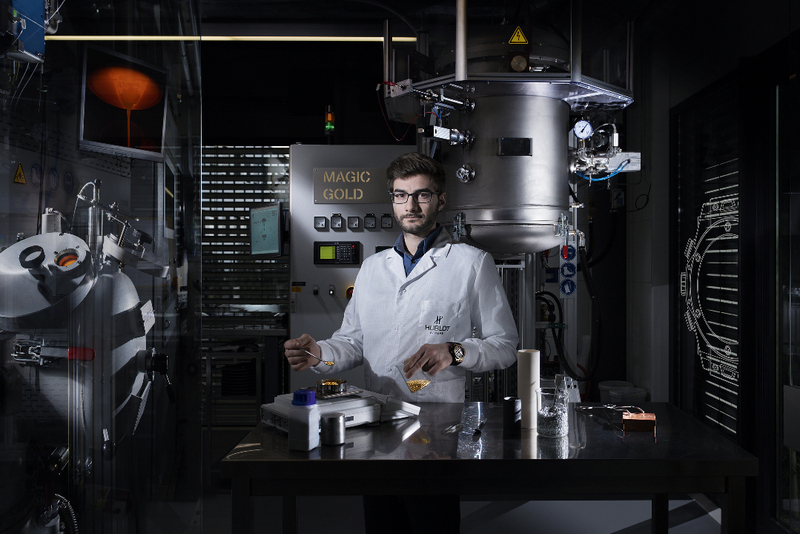 Because that’s what the watch manufacturer does, and does best. The result is another exceptional piece, this time dedicated to the most agile Super Hero: Spider-Man. Spider-Man has widely spread into pop culture from its first appearance in the early sixties in a comic book to today. He is one of Marvel’s best known and most popular Super Heroes, he is also part of the Avengers, and since the first Spider-Man movie featuring Tobey Maguire in 2002, Marvel is reigning over the Super Hero movie universe with an iron fist. 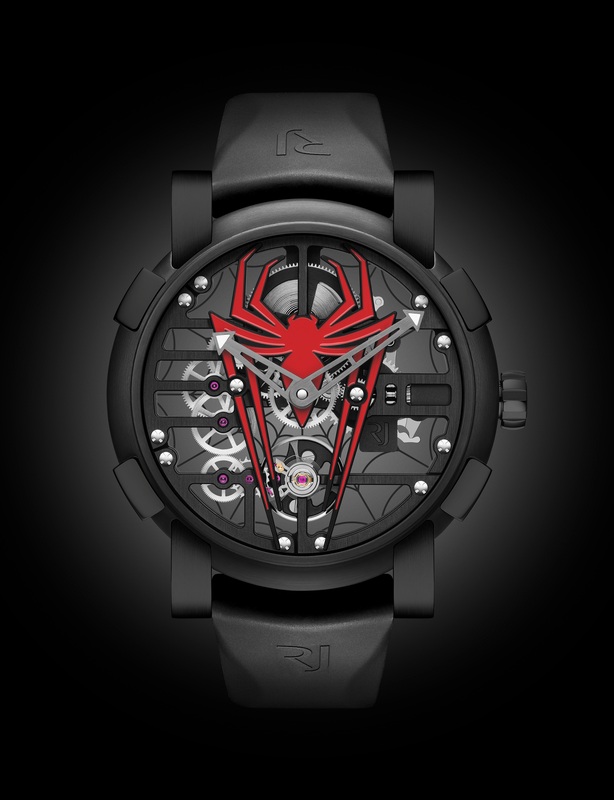 The RJ x Spider-Man is presented in RJ-Romain Jerome’s elegant Skylab case which follows the rule of a classic round-shaped case with four lugs. Enhanced with the four paws characteristic for Romain Jerome, the all black case, made from PVD-coated steel with a satin-finish, reveals a skeleton movement offering endless transparency. The case offers a diameter of massive 48 mm and is waterproof up to 3 bar. 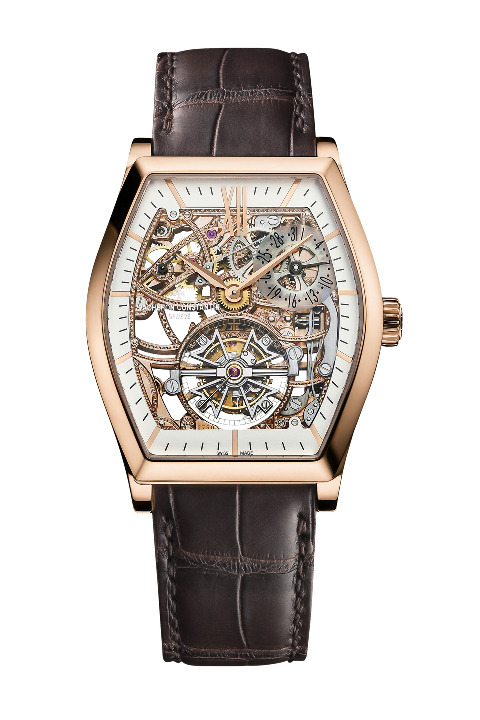 The intricacy of the model also resides in the different perspectives on the dial and the elements that intertwine – the central, bright red spider-shaped applique, the transparency of the skeleton as well as the web metallized on the sapphire crystal. The timeless spider logo is taking center stage on the dial and is probably the best evocation of the character Peter Parker, whose life changed forever with the bite of a radioactive spider. 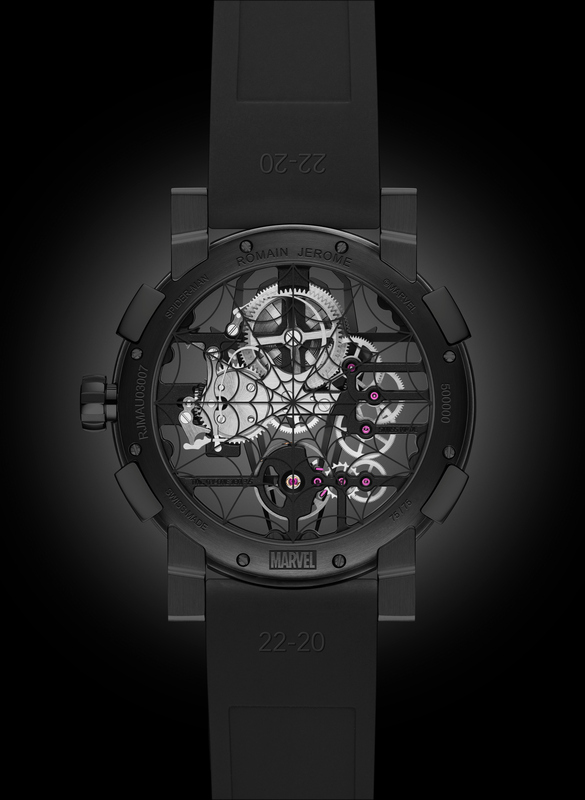 The modern 3-layer movement featuring straight bridges and chamfered angles comes from the RJ-Romain Jerome design labs. The calibre RJ004-M is a mechanical movement that works at 28,800 vph and grants a power reserve of 48 hours minimum. It features only hours and minutes. The RJ x Spider-Man comes with a black rubber strap. 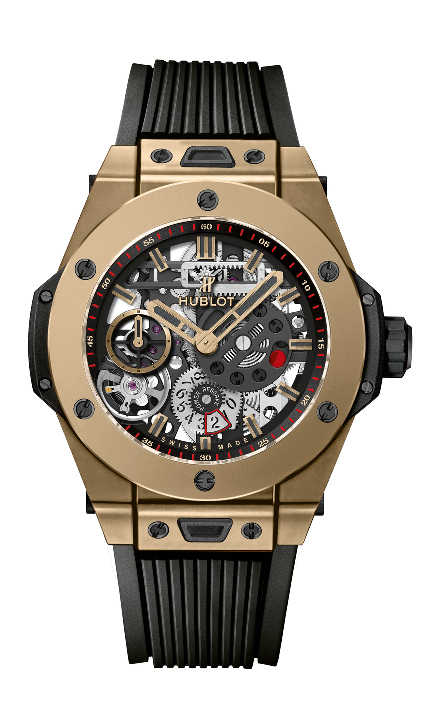 This edition is limited to 75 pieces and every one will cost 20.950€.